​Kerala has a literacy rate of nearly 100% rest of India is about 75%.No wonder Keralaites call it GODS OWN COUNTRY AND IT IS. 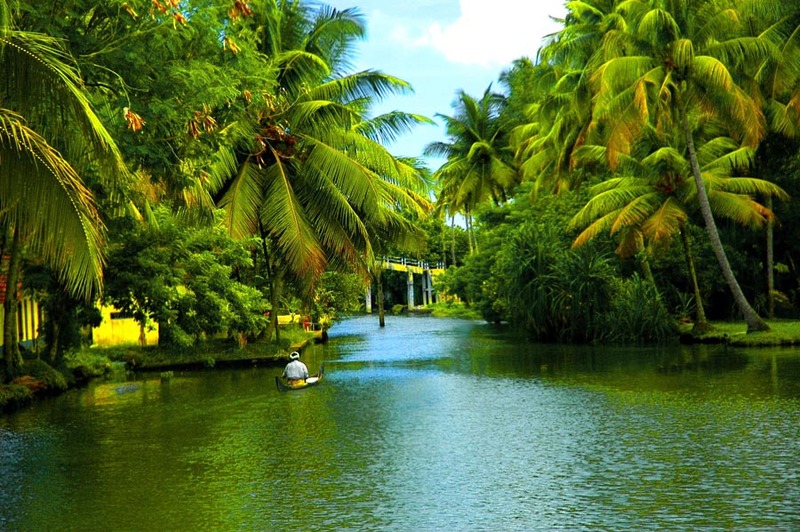 ​Travelling from North India to South India takes 3 days and night s and for the most part the trip is barrenland with hardly any trees and as you start approaching Kerala the landscape changes into a vast aray of Rivers and Palm trees and Lush land. ​JESUS CAME TO BREAK THE Curse. ​ON THE RIGHT SPEAKS FOR ITSELF! GOA ALSO HAS A LITERACY RATE OF 90% AND SEEMS TO SHARE SOME OF THE BLESSING Apostle Thomas left behind..
​If you had a Choice to be born in India where would you like to be born UNDER THE BLESSING or under the curse false gods seem to bring. YOU MAY YOU BE LOOKING AT THIS AND THINKING IS THERE ANY HOPE FOR ME AND MY COUNTRY OF iNDIA. There is HOPE just like in Africa which has turned from Darkness to Light. You can find the LIGHT OF LIFE THE TRUTH OF YOUR LIFE OR you can go on as usual living under the curse. DEAR LORD JESUS PLEASE FORGIVE ME FOR ALL MY SINS I BELIEVE YOU DIED ON THE CROSS AND ROSE AGAIN I NOW TURN MY LIFE OVER TO YOU. THEIR gods as a nothing IN THE EYES OF THE ONE TRUE GOD THE ALL POWERFUL ALMIGHT GOD OF THE BIBLE REVEALED THROUGH THE PERSON OF THE LORD JESUS CHRIST! Deu 28:2 And all these blessings shall come on thee, and overtake thee, if thou shalt hearken unto the voice of the LORD thy God. Deu 28:3 Blessed shalt thou be in the city, and blessed shalt thou be in the field. Deu 28:4 Blessed shall be the fruit of thy body, and the fruit of thy ground, and the fruit of thy cattle, the increase of thy kine, and the flocks of thy sheep. Deu 28:5 Blessed shall be thy basket and thy store. Deu 28:6 Blessed shalt thou be when thou comest in, and blessed shalt thou be when thou goest out. Deu 28:7 The LORD shall cause thine enemies that rise up against thee to be smitten before thy face: they shall come out against thee one way, and flee before thee seven ways. Deu 28:8 The LORD shall command the blessing upon thee in thy storehouses, and in all that thou settest thine hand unto; and he shall bless thee in the land which the LORD thy God giveth thee. Deu 28:9 The LORD shall establish thee an holy people unto himself, as he hath sworn unto thee, if thou shalt keep the commandments of the LORD thy God, and walk in his ways. Deu 28:10 And all people of the earth shall see that thou art called by the name of the LORD; and they shall be afraid of thee. Deu 28:11 And the LORD shall make thee plenteous in goods, in the fruit of thy body, and in the fruit of thy cattle, and in the fruit of thy ground, in the land which the LORD sware unto thy fathers to give thee. ​Deu 28:14 And thou shalt not go aside from any of the words which I command thee this day, to the right hand, or to the left, to go after other gods to serve them. Deu 28:21 The LORD shall make the pestilence cleave unto thee, until he have consumed thee from off the land, whither thou goest to possess it. Deu 28:22 The LORD shall smite thee with a consumption, and with a fever, and with an inflammation, and with an extreme burning, and with the sword, and with blasting, and with mildew; and they shall pursue thee until thou perish. Deu 28:23 And thy heaven that is over thy head shall be brass, and the earth that is under thee shall be iron. ​Deu 28:24 The LORD shall make the rain of thy land powder and dust: from heaven shall it come down upon thee, until thou be destroyed. Deu 28:46 And they shall be upon thee for a sign and for a wonder, and upon thy seed for ever. Deu 28:48 Therefore shalt thou serve thine enemies which the LORD shall send against thee, in hunger, and in thirst, and in nakedness, and in want of all things: and he shall put a yoke of iron upon thy neck, until he have destroyed thee. ​Deu 28:67 In the morning thou shalt say, Would God it were even! and at even thou shalt say, Would God it were morning! for the fear of thine heart wherewith thou shalt fear, and for the sight of thine eyes which thou shalt see. ​WHY DO YOU THINK SOMEONE LIKE ANIL KHAN 1 OF INDIAS TOP SINGERS TURNED TO CHRIST AND NOW IS A MINISTER OF THE GOSPEL? http://www.bbc.com/news/world-asia-india-23145924​The last of the pilgrims stranded after the recent floods in the Indian state of Uttarakhand have been evacuated, bringing to an end one of the world's largest air rescue operations. More than 100,000 people have been rescued from the Himalayan mountains after floods and landslides that left more than 800 dead. At least 3,500 people have been officially confirmed as missing. But authorities say the exact number of deaths may never be known. The National Disaster Management Authority (NDMA) said more than 11,000 were feared missing. "The number of missing stands at 3,500 to 3,700 but a report prepared by a UN agency along with some NGO pegs the figure in excess of 11,000," vice-chairman Shashidhar Reddy said. Army evacuationsThis year's early monsoon rains in the Uttarakhand region are believed to be the heaviest in 80 years. Some 4,200 villages are thought to have been affected by the rains and floods, according to the NDMA. Property damage4,200 villages were affected In June 2013, a multi-day cloudburst centered on the North Indian state Uttarakhand caused devastating floods and landslides becoming the country's worst natural disaster since the 2004 tsunami. The reason the floods occurred was that the rainfall received was on a larger scale than the regular rainfall the state usually received . The debris blocked up the rivers, causing major overflow. 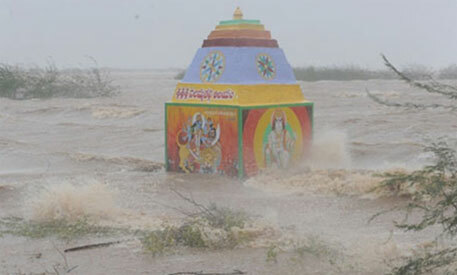 The main day of the flood is said to be on 16 June 2013. Though some parts of Himachal Pradesh, Haryana, Delhi and Uttar Pradesh in India experienced the heavy rainfall, some regions of Western Nepal, and some parts of Western Tibet also experienced heavy rainfall, over 89% of the casualties occurred in Uttarakhand. As of 16 July 2013, according to figures provided by the Uttarakhand government, more than 5,700 people were "presumed dead." This total included 934 local residents. Destruction of bridges and roads left about 100,000 pilgrims and tourists trapped in the valleys leading to three of the four Hindu Chota Char Dham pilgrimage sites. The Indian Air Force, the Indian Army, and paramilitary troops evacuated more than 110,000 people from the flood ravaged area.